The Snowman, a terrifying thriller based on the novel by Jo Nesbo is being released on Oct 20. A sociopath who calls himself “The Snowman Killer” has targeted the one person for whom he wants to showoff his methodical, unthinkable skills: the lead investigator of an elite crime squad. With cunningly simplistic baits, he begs to have a worthy opponent to play his sick game. 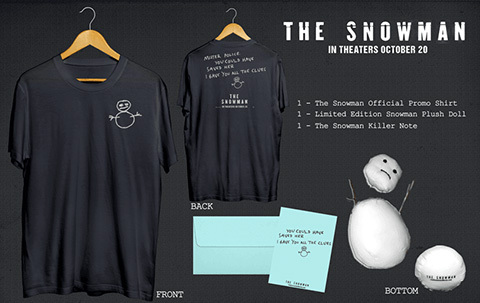 To celebrate the release of this terrifying thriller starring Michael Fassbender and Rebecca Ferguson we have a Snowman Killer Blog App and a giveaway.